Fishing with Ken was a great experience and his knowledge of the water was second to none. I would highly recommend for all skill levels and looking forward to using your fishing services in the future. A cool morning for Jimmy's first fly fishing experience on the Tongariro river produced a nice rainbow trout swing wet flies. Lots of nice conditioned trout are being caught in all rivers around Turangi with wet fly and nymph. Fisherman doing well landing some very nice eating fresh trout to take home. All rivers are running clear so with good rain over night this should bring another wave of fresh trout into all of Turangis river. 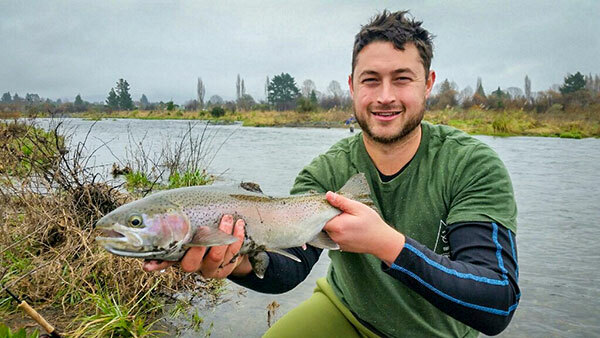 Tauranga Taupo and Tongariro rivers certainly have been producing many nice trout this winter with good fresh runs of trout every couple of weeks of caught. All stream mouths on the eastern side of Lake Taupo are and should still be very productive after dark for the next few months as trout wait for the right conditions to run the river. 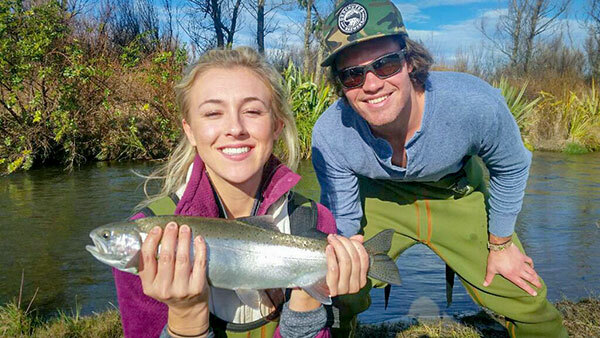 School holiday makers have had a ball fishing on lake Taupo Jigging, trolling for trout from the boats with lots of happy anglers and many top eating fish being caught to take home. Trout fishing Turangi trout fishing Tongariro river.